Rozan-ji Temple is full of demons when the day of the demons. 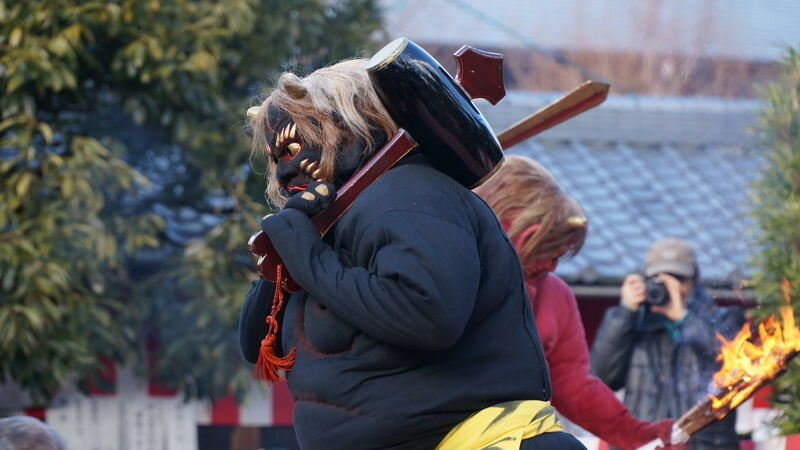 Setsubun, comes round. But the demons here are not that scary; they have a comic side to them. 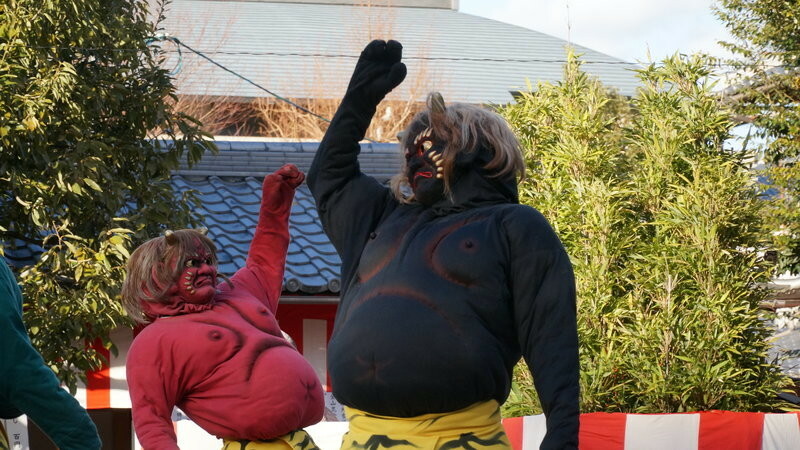 Rozan-ji Temple’s event does have its charms, one of them being that the demons are not scary but somewhat funny. 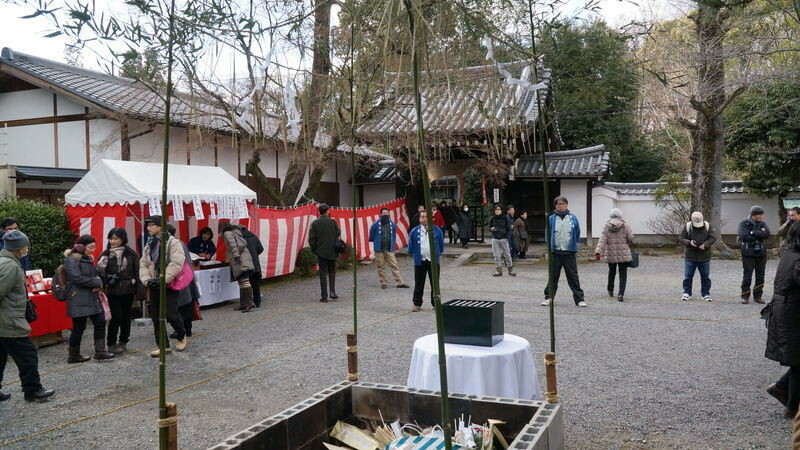 The event here is in a small temple and the demons are friendlier their more famous cousins at Yoshida Shrine, but not as scary. Whereas Yoshida’s demons are scary, Rozan-ji’s demons have a comic side to them. The way they dance to the beat of a huge taiko drum is fun to watch. 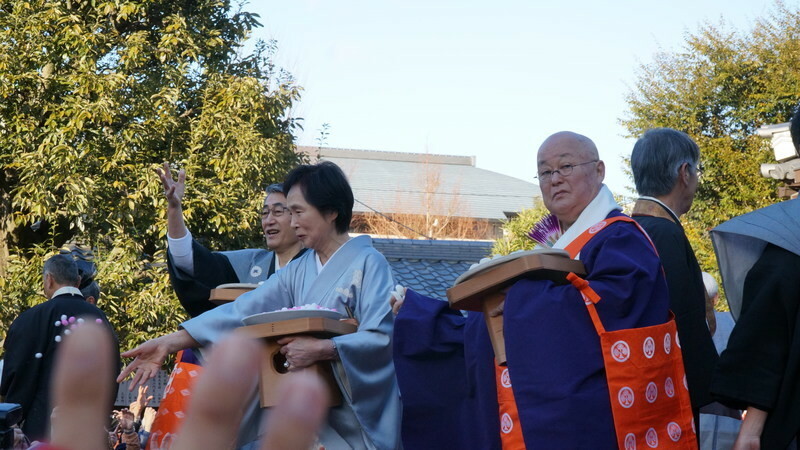 The festival does take quite a long time, so I can only recommend it to those who have a lot of time to spend. 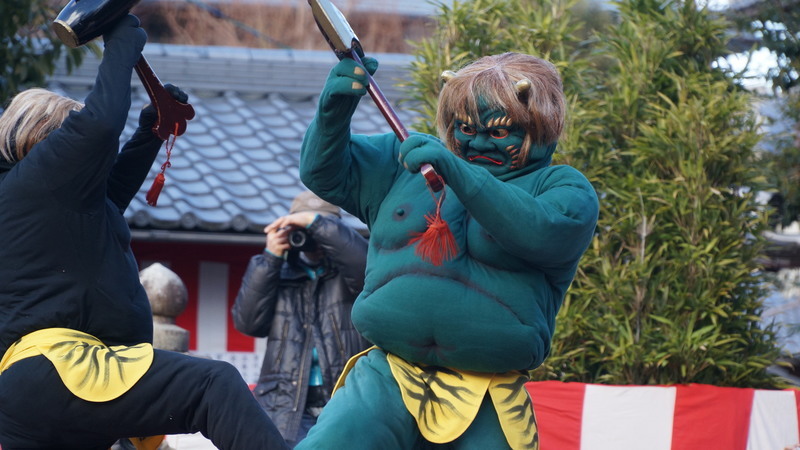 Getting to see dancing demons on Setsubun in February is something all Kyoto fans should do once in their lifetime. 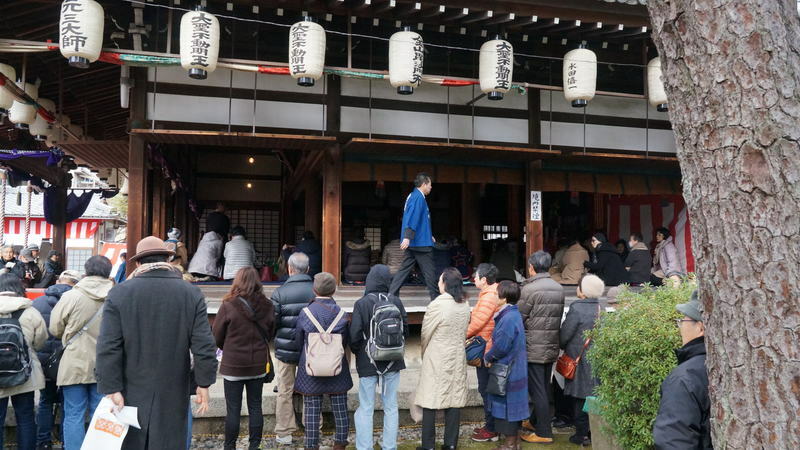 The question of course is, do you go see Yoshida Shrine’s demons or Rozan-ji Temple’s ones? The best answer is of course to go see both, but this article is about Rozanji’s demons. Rozan-ji Temple is right by the Kyoto Imperial Palace, so the temple is really easy to find, especially before the event when really many people are heading to there. It is said the classic work of Japanese literature the Tale of Genji was written in this temple. We arrived at the temple at 1:40 p.m., and that was already a bit late to get the best spots. If you really want to see the demon dance up close, I would recommend getting there a bit earlier than 1:40 p.m. though of course there is the question whether it’s worth it, since you can get pretty good spots as late as 2:30 p.m. But if you want to get really good pictures, you have to be early and be ready to fight for your spot. I lost my spot to a grandfather who rather forcefully forced his way in front of me. 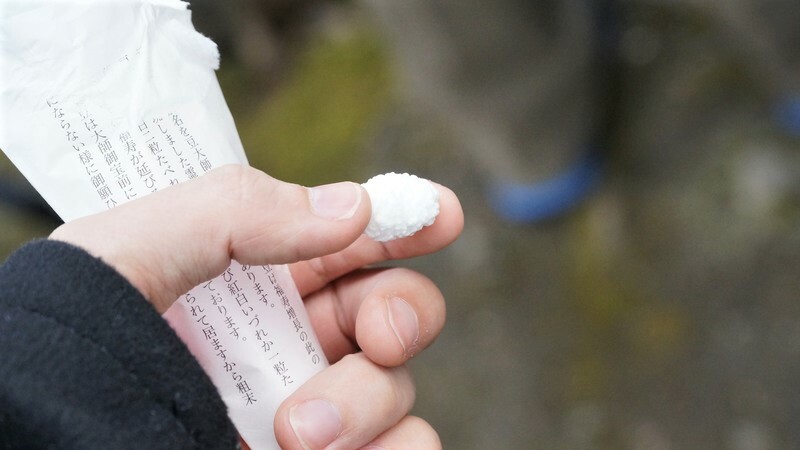 The first part of the event, where the good white demon heals people’s ailments is frankly speaking not that interesting to watch, as not much happens. The healing itself is interesting to see once, plus you need to be there by the time they are doing the healing, so you might as well watch. After the healing comes the main event: the three dancing demons! 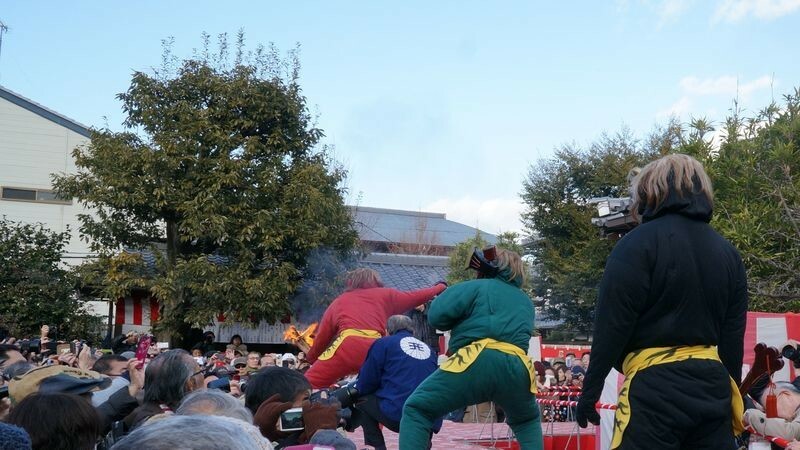 The demons move in a cumbersome way, somewhat like sumo wrestlers, and are fun to watch. Especially the red demon holding the burning torch is something you have to see, with his powerful but ponderous dance performance. The demons start their way to the stage from quite close to the entrance so this is a good place to wait for them to appear, at least if you are a bit late to the party. If however you come early, I would recommend waiting for the demons by the elevated part of the route to the stage so you can see the demons up close. Then the demons go past you. And then you hear to a lot of sutra-reading and nothing happens. Well the demon dance is happening, but that happens inside the temple, and depending on where you stand you might not be able to see anything of it. To see everything here you have to go at least twice, so that would take two years. I am thinking of going next year too, to really get to see what the dance is like inside the temple. This festival is all about the place you stand at; so be sure to go early! 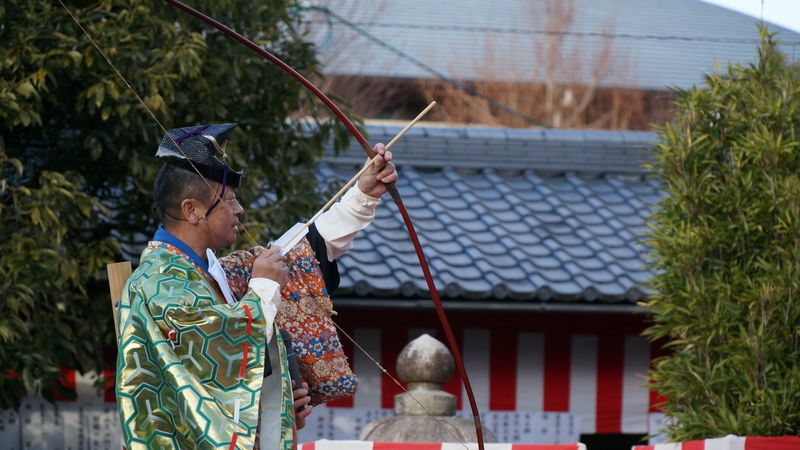 After this, a Tsuinashi, a demon exorcist comes out and shoots arrows to four directions driving the evil away. After this it’s time for the demons to retreat. The retreating demons are fun to look at, their drunken dance an opposite of the way they defiantly entered the temple. Then finally it’s time for bean and mochi throwing. Consider wearing a hat; the beans hurt when they hit your head. The beans at Rozanji are coated by sugar so they taste pretty good. If like me you couldn’t catch any they also sell beans at 100 yen for 8 beans. When the bean throwing is done, it’s time to head home. Going home may take some time as there are really many people at the temple who all now want to head home. 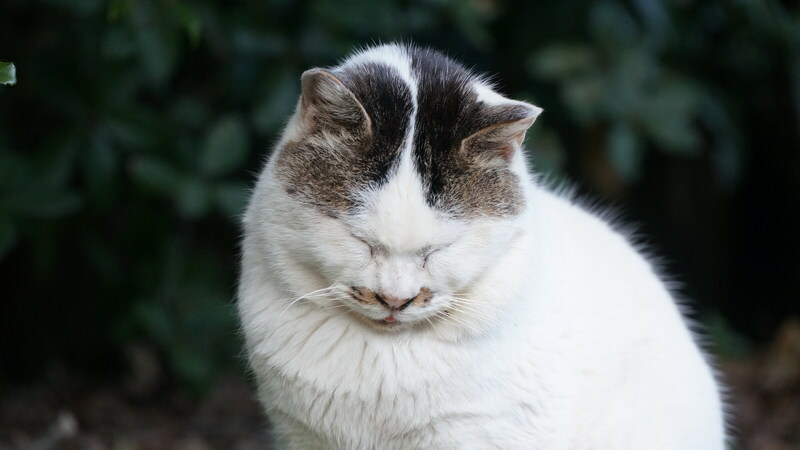 When heading home, if you have time stop by the Kyoto Imperial Palace and try to find this sleepy cat. 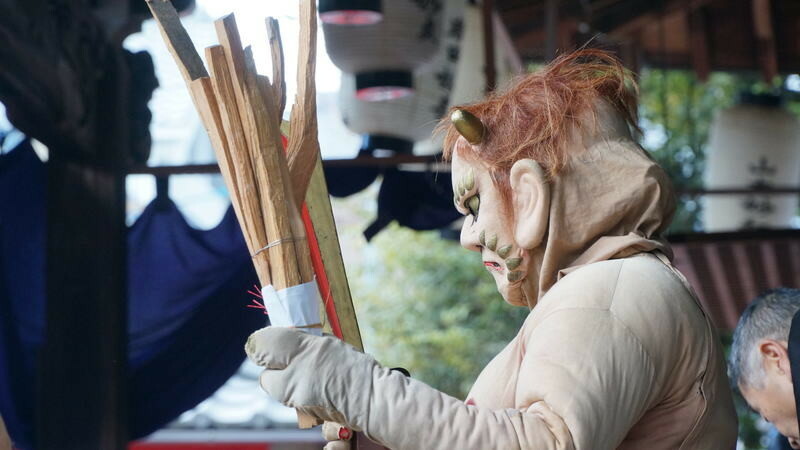 The demons at Rozan-ji Temple are cute in a way and unforgettable! 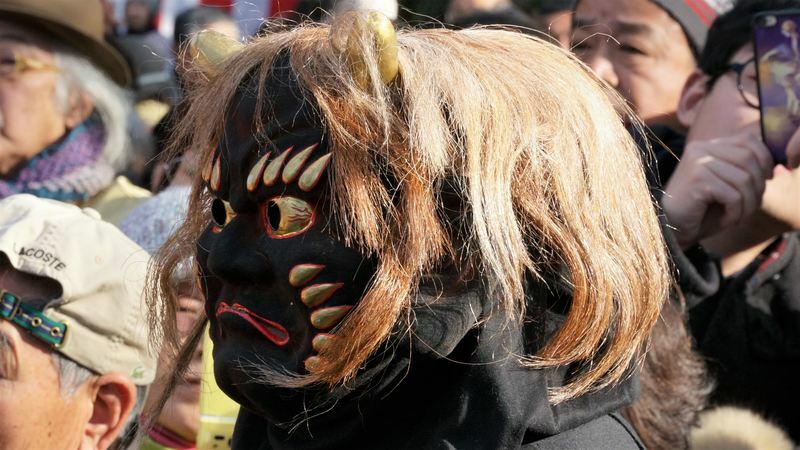 Since this event is really popular with the locals you need to go there early to get a place where you can see the demons up close, but if you are fine with seeing them from a bit far away you can go there just when they start!